Knead for 10-15 minutes. Roll into a pizza shape and add toppings. Press the pizza dough into a sheet pan (you can also use a pizza stone or grill). 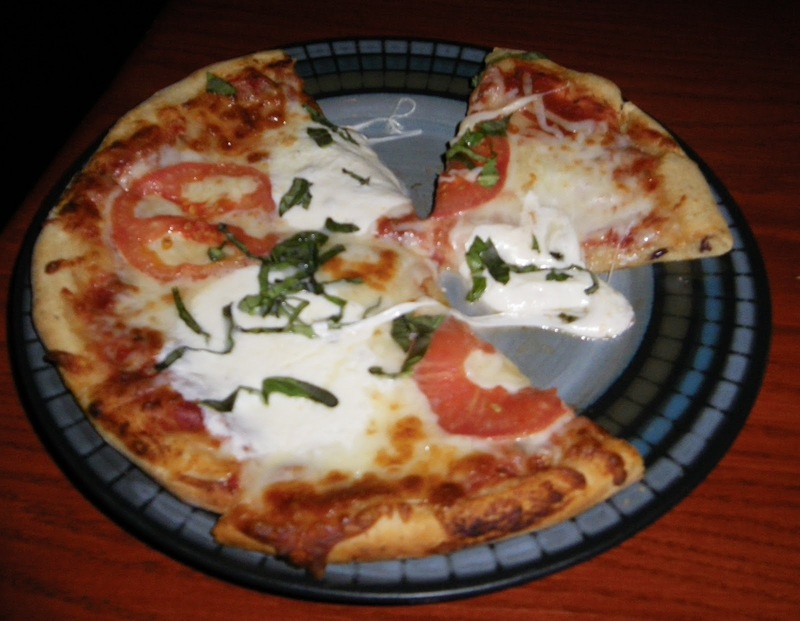 You can conduct your own taste test as I did, by making a half and half pizza, or choose your favorite way and make the entire pizza out of that. Smear the pesto over half of the pizza dough and sprinkle some kosher salt over it. Drizzle olive oil over the dough and sprinkle kosher salt over it. Wash and dry the basil leaves and lay them in a single layer on top of the olive oil. Top the basil with a layer of mozzarella and add a layer of Roma tomatoes. Go ahead and top with more mozzarella if there’s any left. TIP: If the dough seems a little wet when you mix it, just add a sprinkling more flour. The more you knead the dough the better it comes together. Looks yummy. I love to make my own pizza, so I'll have to try it. This looks so yummmy. Finding hard to resist the temptation of "cheese ". And it would be great If you share some tips to get rid of acne. I have this weird kind of skin :( Dont know what should I call it dry, oily or combination . I think its everything. I've never used yogurt in pizza dough. Sounds interesting. Thanks for sharing your recipe on foodie friday. That is a great use of the 2 ingredient pizza dough. Thank you so much for taking the time to credit me.